Whereas a good amount of people travel from one province to another by business, as part of their job, many only do pleasure, to discover new destinations during their holidays. Some travel in order to practice their sports activities preferred within a different framework, often enchanter. 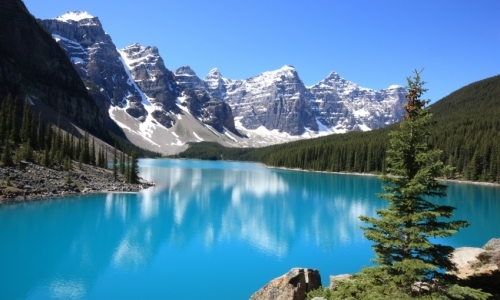 For athletes who have the taste for adventure, the city of Calgary is an ideal destination. Calgary is the largest city in the province of Alberta, and also the third most populous city in the Canada. Located in the foothills of the Rocky Mountains, the city and its mountainous region welcome many fans of winter sports, but also offer numerous choices to the sportsmen during other seasons. In winter, the amateurs of ski and board with snow will have the embarrassment of the choice among all the parks around Calgary, and lovers of skating will not be outdone. The center of the Lake Louise ski, in the Banff national park is one of these majestic places where beginners and experts alike can come and challenge the snowy slopes. For its part, the Olympic Oval, an ice rink covered have been built for the 1988 Olympic Games, is open to the public when it does not organize a hockey or speed skating competition. In the summer, golf is experiencing great popularity, and Calgary has many courses, which the renamed McKenzie Meadows, located 20 minutes from the city center. The surroundings of the town there are also places for horseback riding, mountain biking, walking in the mountains, climbing and more. It is also possible to fish in the rivers of the region, or to the rafting. Centers and training camps are established in the region, as the Olympic national park of Canada for winter sports, or the Hart Family Dungeon, a gym for professional wrestlers. Several sporting clubs are always ready to welcome new members, or to allow the public to discover their activities through lessons or events. Include the Bow Waters Canoe Club, Calgary Mountain Club or The Calgary Petroleum Curling Club. Regardless of the sports activities that interest you, you will certainly find opportunities to share your passion with other enthusiasts on your next visit to Calgary. If you prefer the sport as a spectator, you should be aware that Calgary has several teams in different leagues. Think for the Calgary Flames of the National Hockey League and the Calgary Stampeders of the Canadian Football League. You could plan a trip to Calgary to encourage your favorite teams in one of the stages of the city as the Pengrowth Saddledome or McMahon Stadium. Whether you are an amateur experienced or a curious beginner in the field of winter or summer sports, or you’re simply an enthusiastic supporter, a visit in Calgary will inevitably hold beautiful moments spent for you to celebrate your love of the sport.